My camera this year is a Canon Power Shot SX40IS, having 35x optical zoom. 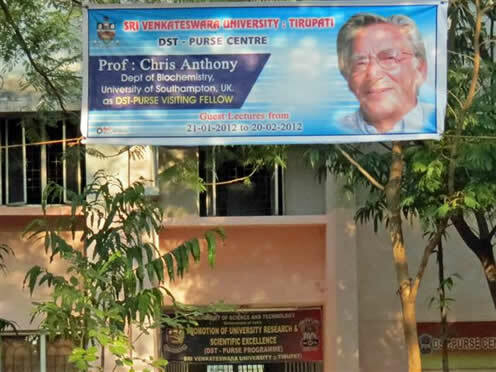 I was met in Chennai by my friend Moin; we went to a nearby Trident Hilton hotel and then, the next day, by car to Tirupati, near the temple hill town of Tirumula, where I stayed for five weeks, teaching in Sri Venkateshwara University [SVU]. 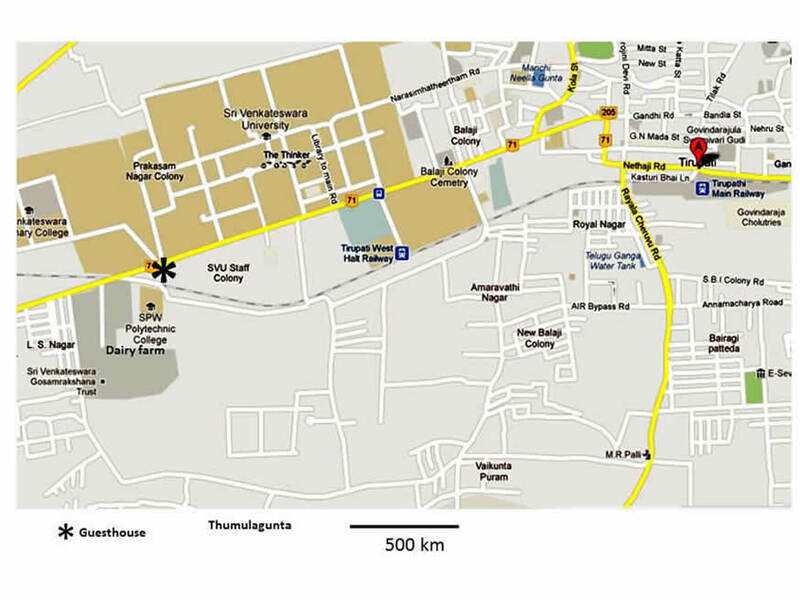 As usual I stayed in the SVU Guest House, 3km from town on the Bangalore road. I was the guest of Professor Sai Gopal, Head of Virology and Microbiology Departments. He had recently masterminded an application for a multidisciplinary centre and is now its Coordinator. This is the DST-PURSE Centre (Department of Science and Technology – Promotion of University Research and Scientific Excellence). I was funded completely and generously by this project. I gave a total of about 40 lectures and tutorials in the centre and in the Biochemistry Department. This year’s web page is dedicated to my very good friend Professor Sai Gopal, Coordinator of DST-PURSE CENTRE. SVU guest house; my second home.